Are you up for the debate between Humanities and Science? In the eternal battle between the specialties of Humanities and Science, especially in the field of higher education, it often seems that Humanities take the lower road. However, if observed from different perspectives, the sphere of humanities includes a vast range of subjects and specialties. And if you are pursuing a course in one of them, then writing essays for assignments is inevitable. However, it is good to know how exactly one goes about writing a paper your subject. Science subjects are mostly researched through field testing and experiments and, as a result, papers in these subjects have a different approach. We will discuss that another day. Research in the humanities are more usually qualitative and need an understanding of the people involved. As such, it is more subjective than the objective approach of the sciences. Let us see a few pointers for writing a good essay in humanities. If, however, you feel it is still difficult for you, just order one from our expert writing team and it will be delivered in good time for your submission. Writing a humanities essay requires an understanding of many subjects! 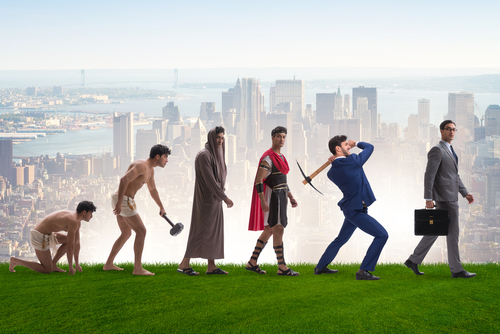 Anthropology, philosophy, history, and economics – Humanities covers it all! Writing an essay on a humanities subject can be challenging. Humanities are the subject of study which deals with the different aspects of human thought and culture. This subject embraces a wide variety of subjects under its umbrella including the arts, politics, history, geography, civics, languages, music, speech, drama, psychology and so on. Although each of these subjects is unique, there is a thread of commonality woven amongst them: the essays should reflect not only the logical thought processes but also the feelings of the writer and the participants under study. Additionally, the student of humanities has to be ready and willing to read extensively on the subject from different angles to get a comprehensive understanding of the subject. Searching for the appropriate sources from books and journals is very important. Libraries and online archives and depositories can yield a wealth of knowledge in the subject. Using keyword search, or author/title search can be made easier by honing these skills through diligent practice. Unlike professional courses of study, the study of humanities deals extensively with the intellectual in-depth analysis of subjects including abstract themes to a considerable degree.Because of this, it requires command over the language. So that the train of thoughts can be expressed simply, lucidly and incorrect grammatical linguistic terms, avoiding colloquialisms, verbosity, and ambiguity. In addition, humanities essay needs to display extensive intellectual and analytical skills along with very good language expression skills, attention to structure, format and documentation and writing skills of a very high quality. 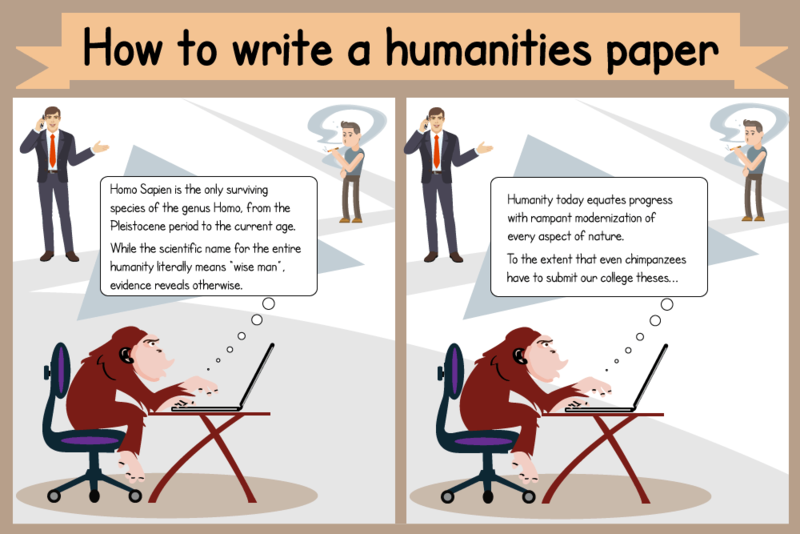 So, what can be done to write and craft a good quality humanities essay? Read on to find out more! As a humanities writer, your main aim is to introduce a new aspect on an existing theme to your reader. The subject of your essay may be a familiar poem or text, drama or speech or a painting but the reader must develop a new understanding or insights into the topic raised. It could be a different perspective on the issue and it need not be something which is acceptable to the reader. Your aim would be to engage and challenge the reader into discovering a new aspect of the subject. This can be done through different ways of handling the issue. Critical analysis of the issue through unique presentations could help the viewer gain a different perspective. As for example, an understanding of the consequences of terrorism, both on terrorists, their victims and the families of the terrorists or How did Antony’s relationship with Cleopatra affect their respective functions as leaders of their individual states? Choosing a topic which is broad-based and covers many things may seem pretty tempting but it can lead you astray with respect to the quality of the essay you want to submit and the effort you need to put into it. A better way to come up with an engaging and insightful humanities essay would be to go for a narrow topic- focus on one chief idea or theme, then build on that.For instance, instead of selecting a topic like the discussion of literature or art belonging to a particular era, focus on something like the use of irony in the work of a particular author or the depiction of nature in the artworks of a particular painter. This narrowing of the topic would make the discussion more sharp, incisive, and easily manageable to research and write in the available time. The key to good communication is to use lucid, simple and clear language. Do not use multiple sentences when you can convey the same in a few words. Use a few key ideas in a paragraph. Do not burden your sentences with a multitude of ideas, jarring with each other and thus confusing the reader. Use simple words and avoid jargon. Most importantly, your thoughts should flow smoothly while retaining grammatical structure and order to make sense. The essay should have a thesis statement within its introduction, which directly or indirectly points out the issue. The introduction will also present your view on it. The body will contain the arguments that support or contradict the thesis statement; the evidence is usually in the form of textual evidence. Explicate on the issue using any of several possible theoretical frameworks so that the reader is led to a deeper understanding of these issues from new angles. Such frameworks could include legal, ethical, moral, gender-based, psychological, political and economic frameworks amongst others.